Ministry of Finance Job Circular 2018 has been published Ministry of Finance Official website http://www.ird.gov.bd/. Ministry of Finance Total 4 posts are 13 vacancies are appointed. Every interested man and woman can apply for this job within a specific time. v. You should fill up all information correctly. vi. Upload your photo and signature. ix. Download your copy and print Application copy. x. Complete the payment in Teletalk mobile within 72 hours. Pay online application fees by Teletalk mobile sim. An application fee is Candidates have pay application charge by Teletalk SMS. Reply: Congratulations! Applicant’s Name, payment completed successfully for Ministry of Finance User ID is (xxxxxxxx) and Password (xxxxxxxx). Ministry of Finance authority Mobile SMS declaration will be published Admit Card. 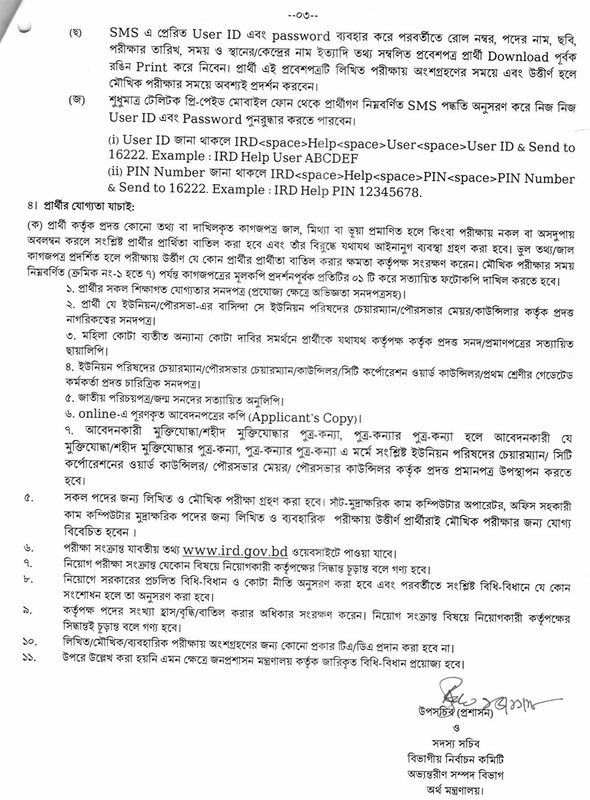 Every applicant can download login with User Id and Password at http://ird.teletalk.com.bd/. Ministry of Finance authority Mobile SMS declaration will be published Seat Plan and Exam Center at your Admit Card. 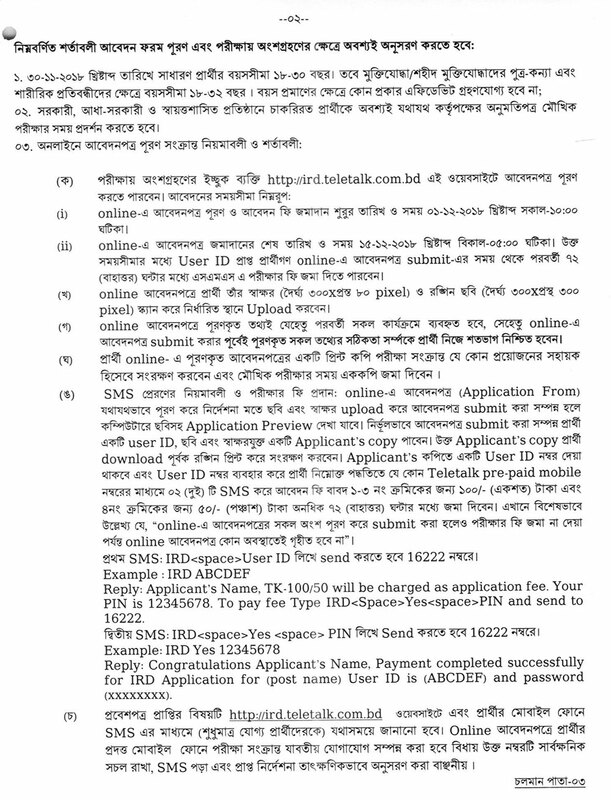 You can download Admit Card login with User Id and Password at http://ird.teletalk.com.bd/and http://www.ird.gov.bd/. Ministry of Finance authority will be published at their Official website notice board http://www.ird.gov.bd/. This is very helpfull job circular for every jobless persons in Bangladesh. 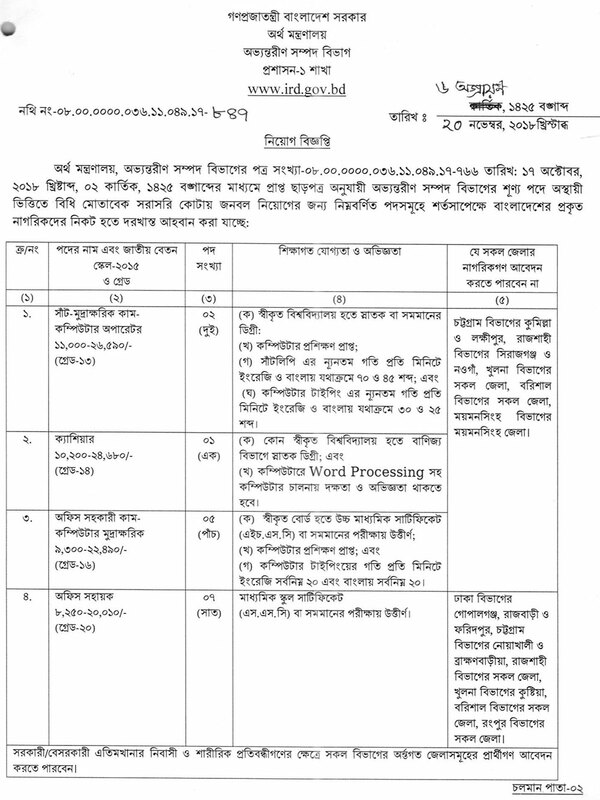 This is one of the best job circular for ministry of finance in Bangladesh 2019.